With its casual atmosphere and no-frills fare, a pub provides the perfect backdrop for a night out. And Oregon is home to some of the coolest around. Whether you want to check out a German-style pub in Eugene or a brewpub in Portland, there's something for everyone's preference. Here are the 10 best pubs in the state. 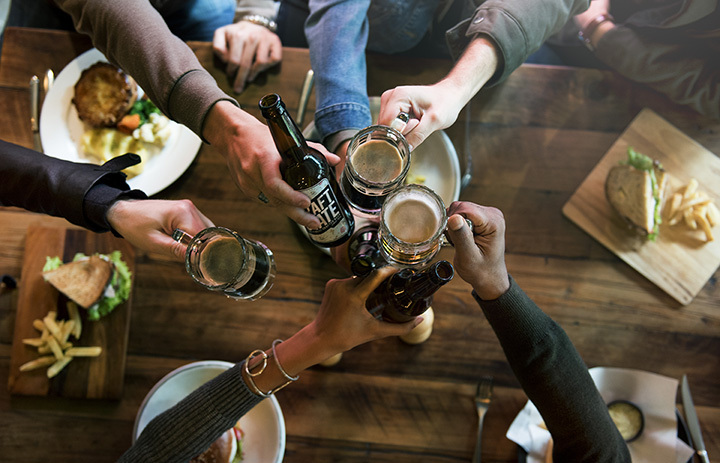 Willamette Weekly says, “Perhaps no place in Oregon has converted as many people to craft beer geeks as Eugene’s Bier Stein.” As anyone who has visited Oregon knows, craft beer has a religious-like following throughout the state. The Bier Stein is like mecca and Jerusalem rolled up into one. The Prodigal Son is Pendleton, Oregon’s first craft brewery, bringing the hippest trend in beer to this small agricultural town. They've been recognized as one of the top 10 bars outside of Portland, but we think they’re simply one of the top 10 spots in the state, period. 4 Daughters Irish Pub has been the Mail Tribune Readers’ Choice for Best Bar in Southern Oregon for four years. They’re known as a friendly pub that brings an authentic Irish atmosphere to Medford. The Highland Stillhouse in Oregon City, Oregon is one of Oregon’s premier whisky pubs with “the Portland area’s largest selection of single malt scotch,” according to their website. Take in their Scotland-inspired décor while sipping on their delicious whiskey. The Oregon Public House in Portland has the unique vision of leveraging the craft brewing, pub culture of the city along with the immense number of non-profits to benefit both. They donate all of their profits after operating expenses to non-profits around the city. You can always feel good about a drink at the Public House knowing that the money is going somewhere that needs it. The Thompson Brewery and Public House is the first brewery in Salem to be established after Prohibition, according to their website. Grab a drink and enjoy the outdoors in their open-air courtyard. Golden Valley Brewery and Restaurant has two locations in Oregon, one in McMinnville and another in Beaverton. They’re known for their casual atmosphere and fantastic happy hour. Based in Pacific City, Oregon, Pelican Brewing Company has multiple pub outlets around Oregon. Stop into their Tillamook, Cannon Beach, or Pacific City locations to see how the beer is made before pulling up a stool at the bar. 10 Barrel Brewing Co. has pub locations across Oregon including in Bend and Portland. Parents, take note that they allow minors and even children in high chairs in their pubs, making this the perfect family-friendly pub outing. The Horse Brass Pub is “a traditional English-style pub in beautiful SE Portland proudly serving proper 20-ounce Imperial pints and traditional English and American pub grub,” according to their website. They’ve been named “One of the best bars in America” by Esquire Magazine and have received numerous accolades. Next time you’re in town, make sure to add them to your pub crawl. View more Oregon Bars and Saloons.